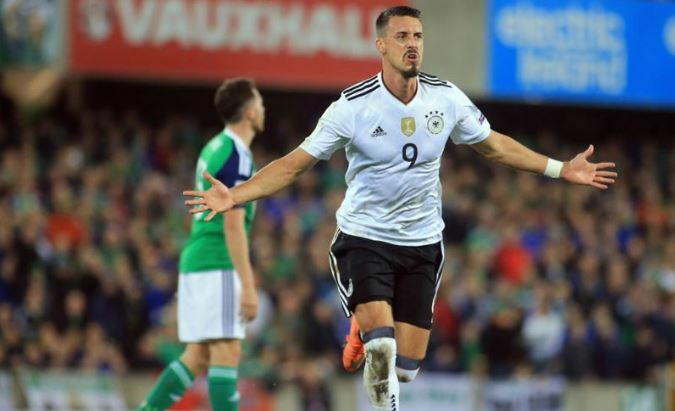 Former Germany striker Sandro Wagner is leaving Bundesliga champions Bayern Munich for Chinese club Tianjin Teda, both clubs confirmed on Wednesday. Munich-born Wagner leaves Bayern after one year as he rarely got playing time under new coach Niko Kovac, and wasn’t in the squad at all in the two games since the winter break. His original contract was until 2020. “Sandro Wagner approached us and asked to be released out of his contract. he has a very attractive offer from China and we have granted his wish,” Munich sports director Hasan Salihamidzic said in a club statement. Tianjin said Wagner receives a two-year contract but a spokeswoman did not want to go into financial details. According to the Bild paper Tianjin made a 5-million-euro (5.7-million-dollar) offer. Wagner is said to earn some 15 million euros over the two years, according to Kicker sports magazine. Bayern bought Wagner for some 13 million euros from Hoffenheim a year ago as a back-up for Polish striker Robert Lewandowski. He also spent 10 years in Munich’s youth teams earlier in his career. With eight Germany caps and five goals, Wagner had been hoping to be in the national team squad for last summer’s World Cup in Russia but was not picked by coach Joachim Loew. He then announced he was retiring from international football. Tianjin were 14th in the 2018 Chinese Super League and coached by German Uli Stielike.